Vietnam is participating in the second Raisina Dialogue – a geopolitical conference, in India from January 17-19. Senior Lieutenant General Pham Ngoc Minh, Deputy Chief of the General Staff of the Vietnam People’s Army, led a delegation to the event. Indian Prime Minister Narendra Modi outlined his vision for peace with South Asian countries and detailed India’s foreign policy priorities, security interests in the Indian Ocean, and bilateral engagement with neigbouring countries, Gulf nations, and major powers, including the US and Russia. Respecting freedom of navigation and adhering to international norms is essential for peace and growth in the Indo-Pacific region, he said. He highlighted collaboration with Southeast Asia as a focus in the Act East Policy of India. 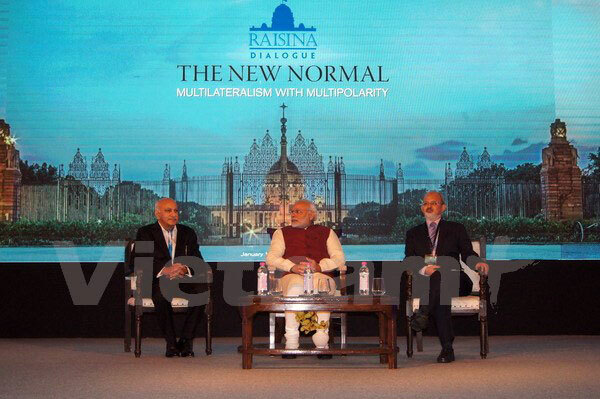 Themed “The New Normal Multilateralism with Multipolarity”, the second Raisina Dialogue attracted more than 250 delegates from 65 countries./.